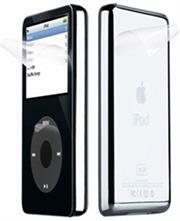 •Specially formulated iLuv transparent cover films ensure that your iPod will keep its original crystal display. •The adhesive layer allows you to easily install the film and remove any air bubbles during installation. Specially formulated iLuv transparent cover films ensure that your iPod will keep its original crystal display. The adhesive layer allows you to easily install the film and remove any air bubbles during installation.